A few weeks ago, we identified the Top High Schools in Fairfax County VA based on US News’s State rankings. 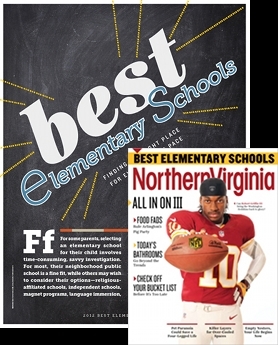 This week, we’ve been inspired by Northern Virginia Magazine, with their Best Elementary Schools article. 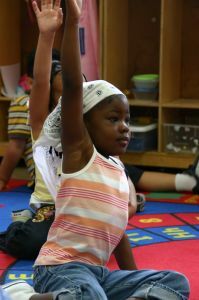 Their article covers several Counties, and here, we are focusing on the best elementary schools in Fairfax County. 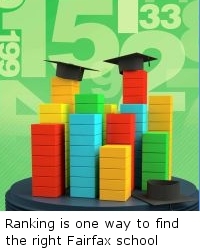 Are you only researching on GreatSchools when choosing a school? 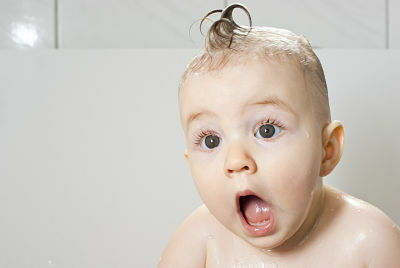 Have you ever heard the saying “throwing the baby out with the bathwater”? Legend says that in the past, families only bathed once in a while – and every member of the family got to do it inside the same tub of water. Dad had the first turn, then Mom, then the kids, and lastly – the baby. By then, the water was not exactly clear and it was easy for whomever was throwing the water out not to see the baby in it. Most people when they are buying a car, they review safety ratings, fuel consumption, reliability, and of course, the price. Once they have all the data, they rank the results in order to help them make the right decision. When there is a long term commitment, we tend to analyze the situation and weigh-in our options carefully. It seems that we are always ranking features to come up with the best solution for our needs. We pour over scores, special programs, and any other feature that can help us make the right decision. How does Fairfax County Public Schools compare with nearby districts? If you have ever witnessed a night at the Academy Awards, you’ll hear this phrase over and over. 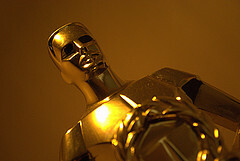 In order to make justice to all the different aspects of a movie, The Academy has created many categories for which movies get nominated as “the best”. School Districts, like movies, are complex entities with strengths and weaknesses. Some are the best in some aspects, and others are better in others. Is it true what they say about Fairfax County Schools? Fairfax County Public Schools (FCPS) is reported to be one of the biggest and best school districts in the state of Virginia, and in the Country; let’s see how Fairfax County Public Schools compare with its neighboring school districts.